Medicaid expansion has transformed the health care system for American Indians in Montana. Proposals to strip people of their health care if they are unable to meet harsh work and reporting requirements will be especially harmful to American Indians because of greater barriers to accessing quality health care, persistent health disparities, insufficient employment opportunities in Indian Country, and inadequate infrastructure in Indian Country to satisfy reporting requirements. Because of Medicaid expansion, roughly one in five (15,450) American Indians have gained access to a comprehensive range of health care services at locations across the state. This helps to address the persistent health disparities experienced by American Indians. 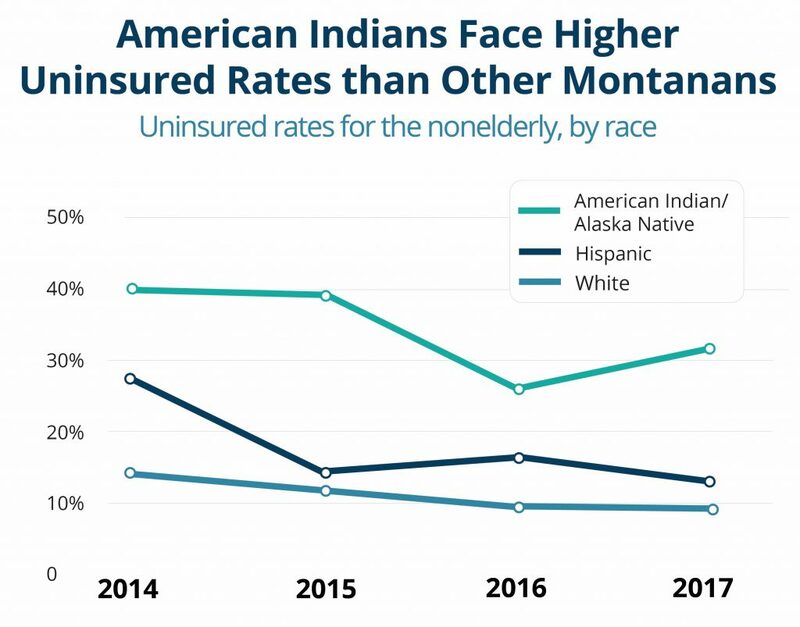 Between 2014, the year before Montana expanded eligibility for Medicaid, and 2017, the uninsured rate for nonelderly American Indians decreased from 40 percent to 31 percent. Between March 2, 2016, and July 1, 2018, American Indian enrollment in Medicaid expansion in Rosebud County, which encompasses the Northern Cheyenne Reservation, increased from 161 individuals to 804. Enrollment in all other major reservation counties has either doubled or tripled since the initial reporting period of Medicaid expansion enrollment numbers. Enrollment in counties with large urban Indian populations has also increased. For example, between August 1, 2016, and November 1, 2018, American Indian enrollment in Yellowstone County increased from 710 individuals to 1,861. The significant increases demonstrate a need for health care. Medicaid expansion is a critical resource for eligible American Indians who either have no insurance or who are dealing with inadequate care through the Indian Health Service’s (IHS) rationed system. In 2017, IHS per capita spending was $4,078, as compared to $8,109 for Medicaid, $10,692 for the Veterans Health Administration, and $13,185 for Medicare. In recognition of the federal trust responsibility, or the obligation of the federal government to provide health care to American Indians, Congress has authorized IHS and tribal facilities to bill Medicaid for services provided to Medicaid-eligible American Indians to supplement inadequate IHS funding. Mandatory work and reporting requirements for American Indians are inconsistent with and undermine federal treaty and trust responsibilities. Strict work and reporting requirements do not address barriers to employment among American Indians, such as lack of access to quality education, poor health, lack of reliable transportation, and racial discrimination. Each of the seven reservations in Montana experiences higher unemployment rates than most other areas of the state because of extreme economic depression and lack of job opportunities. Unemployment rates as of December 2018 indicate that five reservations face unemployment rates greater than 10 percent, as compared to the overall state unemployment rate of 3.7 percent. Like many rural areas, tribal communities lag behind urban areas in broadband access. When Medicaid eligibility depends on meeting specified hours of work activities each month, enrollees must submit documentation to stay covered. This means that Medicaid expansion enrollees living in tribal communities could be at risk of losing their health care coverage simply based on where they live. Tribal governments and individual American Indians welcome economic development, job creation, and job training to reduce unemployment rates. However, harsh work and reporting requirements would neither create jobs where they do not exist nor address other barriers to employment. Making it harder for American Indians to enroll in and maintain Medicaid coverage by imposing harsh work and reporting requirements would result in loss of coverage and worsened health for American Indians, as well as reduced resources for IHS and tribal facilities, forcing these facilities to cut their capacity to treat all patients. Moreover, many American Indians could be discouraged from enrolling in Medicaid altogether, causing many to fall back on the chronically under-funded IHS. This would result in increased costs to both the already-overstretched IHS and tribal facilities and to non-Indian health care providers who must provide uncompensated services to otherwise Medicaid-eligible American Indians. Poorer health among American Indians is the result of policies and practices that have created deep-rooted barriers to good health. These same barriers mean that a fair and just opportunity to live a long and healthy life is not a reality for all Montanans. The Legislature must extend Medicaid expansion without stripping people of their health care coverage when they need it most. 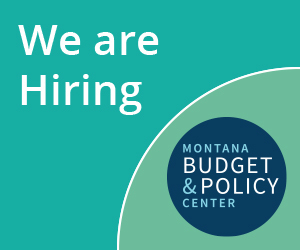 Montana Department of Public Health and Human Services, “Montana Medicaid Expansion Dashboard,” accessed on Feb. 8, 2019. MBPC calculations using U.S. Census data. Henry J. Kaiser Family Foundation, “Uninsured Rates for the Nonelderly by Race/Ethnicity,” accessed on Feb. 8, 2019. HELP Act Oversight Committee, “2018 Report to the Governor and Legislative Finance Committee,” Aug. 2018. Montana Department of Public Health and Human Services, “American Indians Enrolled in HELP Act (Medicaid Expansion),” Nov. 1, 2018, on file with author. CSKT Health Department, “Impact of Medicaid Expansion in the Flathead Community,” Char-Koosta News, Jan. 17, 2019. U.S. Government Accountability Office, memo to the Subcommittee on Interior, Environment, and Related Agencies, “Indian Health Service: Spending Levels and Characteristics of IHS and Three Other Federal Health Care Programs,” Dec. 10, 2018. Hawley, V., and Pata, J., National Indian Health Board, and National Congress of American Indians, memo to Senator Mitch McConnell, “Tribal Priorities in Senate Healthcare Reform Legislation,” June 7, 2017. Montana Department of Labor and Industry, “Current Unemployment Rate,” accessed on Feb. 8, 2019. Federal Communications Commission, “2018 Broadband Deployment Report,” Feb. 2, 2018.